Concorde Fire is proud to have Astrid Wheeler be selected to the US roster for the 2018 FIFA U17 Women's World Cup. After a successful NTC last week she will be joining 20 other players in representing their country in the U17 World Cup later this fall. 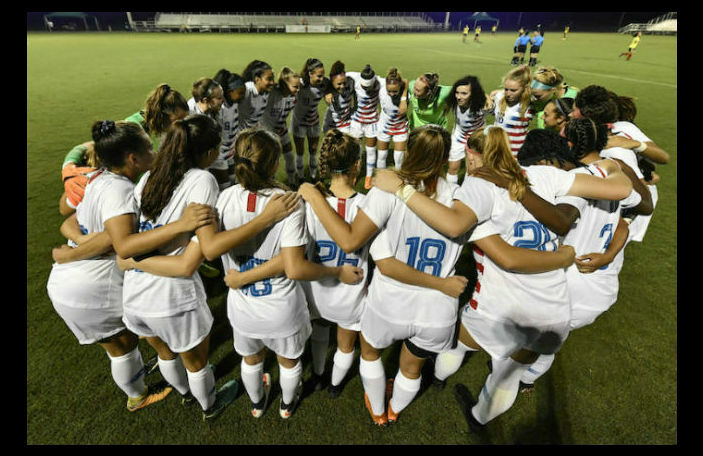 CHICAGO (Oct. 22, 2018) – U.S. Under-17 Women’s National Team head coach Mark Carr has named the 21 players who will represent the United States at the 2018 FIFA Under-17 Women’s World Cup to be held in Uruguay from Nov. 13 – Dec. 1. The USA kicks off a challenging Group C on Wed., Nov. 14 against Cameroon (1 p.m. ET), faces Korea DPR on Sat., Nov. 17 (1 p.m. ET) and wraps up the group stage against Germany on Wed., Nov. 21 (4 p.m. ET). All of the USA’s matches will be broadcast on FS2. Carr named the final roster after the conclusion of the U.S. Soccer U-17 Women’s Invitational in Lakewood Ranch, Fla., where the USA finished off its World Cup prep with matches against Colombia, Mexico and England. Since the start of the cycle in April 2016, the U-17s have tested themselves against 15 different National Teams over the course of 17 training camps/events and have compiled a 23-2-6 international record. Players born on or after Jan. 1, 2001 are eligible for the World Cup. The U.S. roster is made up of 15 players born in 2001, five born in 2002 and one born in 2003. Sixteen players participated in the 2017-18 inaugural season of the U.S. Soccer Girls’ Development Academy, with seven picking up Academy Conference Best XI honors last year.